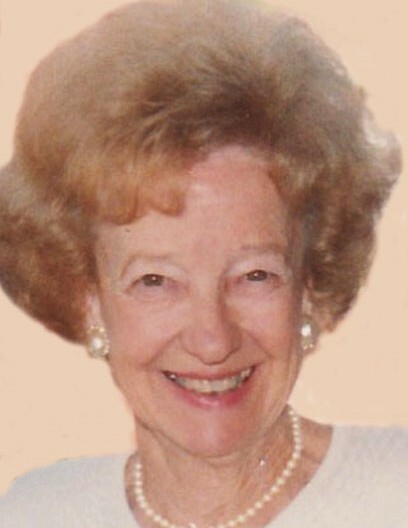 Dorothy Whiteley Tregaskis, 96, passed away Feb. 6, 2019, in Prospect, KY. She was born July 25, 1922, in Bingham Canyon, UT, to John and Jane Whiteley. She was married to Sid Tregaskis on Dec. 29, 1943, at Fort Douglas in Salt Lake City, Utah. He preceded her in death Oct. 11, 2008. Dorothy was a telephone operator in Bingham, worked at Fort Douglas Motor Transport, Commercial Travelers and the Union Pacific Railroad as a keypunch operator. She was involved in the PTA throughout Kim’s schooling, volunteered at Judge Memorial High School, and volunteered at Cottonwood Hospital for 42 years. She was a loving mother, grandmother, and for a few short months a great grandmother. Survived by her sister, Patricia (George) Gadd, South Jordan, UT; daughter, Kim (Cody) Coombs, LaGrange, KY; two grandchildren, Melissa (Jeremy) Mattox, Georgetown, KY, Ryan (Brooke) Coombs, Elizabethtown, KY; and great grandson, Bennett Mattox, Georgetown, KY.
Funeral services will be held at 11 am on Friday, Feb. 15, 2019, at Goff Mortuary, 8090 S. State Street, Midvale, Utah. A visitation will take place starting at 10 am. Interment, Larkin Sunset Gardens. Special thanks to the workers at Hallmark House in Prospect, KY, for their love and care of Mom for the past two years.